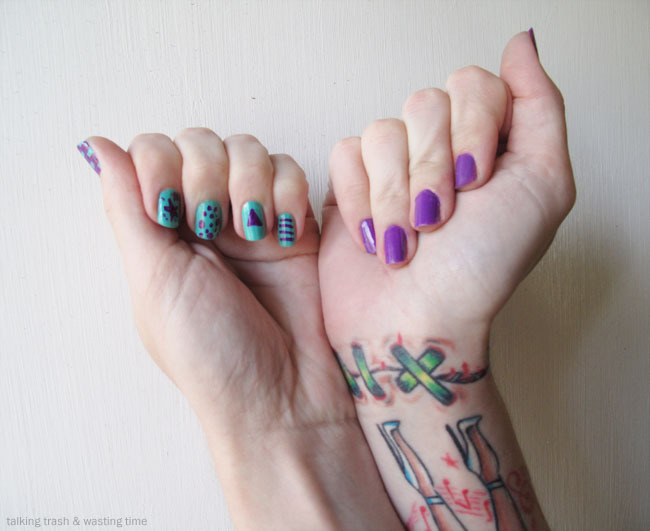 Easy nail art with markers! Great idea, love it! I should try this. I love nail art, but I'm so bad doing it!! I like the purple nail color.